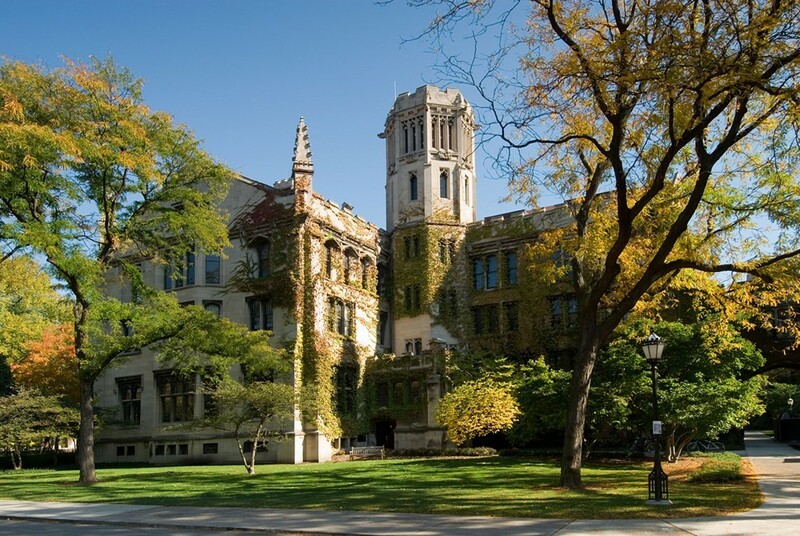 Chauvinistic, isolated, and self-consciously intellectual, Hyde Park is dominated—some would say controlled—by the University of Chicago. The neighborhood, which borders the lake front from 51st to 59th Streets and extends west to Washington Park, used to be a bohemian enclave, a tourist attraction for northsiders in search of a Saturday night thrill. Fifty-fifth Street was famous for its bars, where the jazz greats of the bebop era appeared; an artists' and writers' colony flourished here in the mid-1950s with the Compass Players and the Second City company. But there's nothing bohemian about Hyde Park now, thanks to a university-backed urban renewal project that replaced most of the seedy, low-rent apartment buildings and storefronts with expensive townhouses and suburban-style shopping centers. The encircling black ghetto was kept at bay. 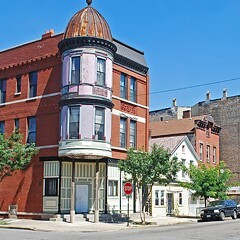 Hyde Park remained a middle and upper-class preserve, and Grey Line busses began bringing tourists down to see "Chicago's only stable, successfully integrated neighborhood." Stable it certainly is—so much so that the rental apartment vacancy rate hovers at around half a percent. But integrated? There is much less socail interaction between blacks and whites than the racial mixture on the streets would seem to indicate. The neighborhood is still sharply divided, economically and socially, on almost a block-by-block basis. 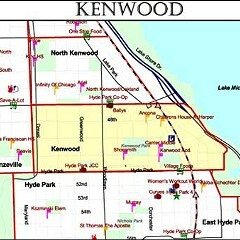 Most blacks, along with lots of low-income students, live north of 55th or west of Woodlawn; faculty members congregate between 55th and 59th; and East Hyde Park, on the other side of the Illinois Central tracks, is its own world, with a dense concentration of highrise apartment buildings and retirement hotels. Fear of crime is pervasive everywhere, although police department statistics show that Hyde Park is relatively safe. The University maintains one of the largest private police forces in the U.S. and white "security telephones" are located every few blocks, but the streets are still deserted after dark. Students drink at Jimmy's (formally the Woodlawn Tap), a venerable hole-in-the-wall that prides itself on the dinginess of its decor. The neighborhood's only commercial movie theater shows standard third-run fare; student-operated film societies compensate to a certain extent, but other types of entertainment—live music, for instance—are seldom available, allegedly because the University discourages anything that might attract "outside elements" into the neighborhood. So Hyde Parkers are forced to schlep up to the Loop or the North Side whenever they feel like having a good time, which makes owning a car almost a necessity. On the positive side, Hyde Park is cosmopolitan, tolerant of eccentricity, very liberal and very active politically, and free of the commercial clutter and congestion that plague most lakefront neighborhoods. It also has more Nobel Prize winners per square foot than any other neighborhood in the world, which ought to count for something.